Ogive has rich experience in Market Research and SPC in the Indian market. We are now leveraging on this experience to provide oursourced statistical analysis services. You can use our services if you have a statistical problem that needs to be solved. We can help you in defining your problem, designing a solution and in interpreting the results. If you are an existing vendor of statistical services such as Market Research or Surveys, you can reduce your costs of running analytical tools by offshoring this activity at highly competitive rates. Ogive has consulting and analysis strengths, in helping companies answer their business questions using sophisticated statistical tools. We can assist you in defining your business problem in statistical terms, desiging solutions and identification and use of the right statistical tool. 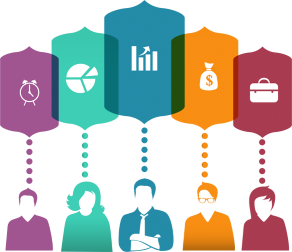 You can use our services for market research and segmentation, forecasting and customer and employee surveys.